In celebration of Celiac Awareness Month, Linda @ Gluten Free Homemaker has put together a great event full of resources! 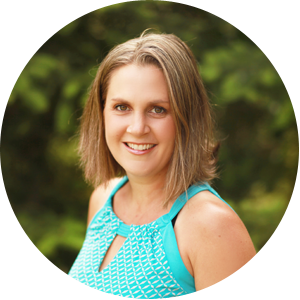 Linda has pooled together 10 experts who each have chosen an area to focus on for daily, brief tips relating to starting and/or maintaining a gluten free lifestyle. You will need to visit each individual blog to see their daily tips and advise. My goal for this series is to help people realize gluten-free lunches and snacks can still be great! I hope to provide you with ideas that will help spice up YOUR daily fare with something you may not have thought of before. Going gluten free is not a jail sentence: it’s an opportunity to take care of yourself and feed yourself real, nourishing, and new foods. Come along these next two weeks as we explore: Gluten Free Lunchboxes and Snacks! Making snack and lunchbox fillers on the weekends has really saved me during busy school weekdays. We pick a few recipes, new, or tried and true and cook them up. Sometimes my daughters pick them, sometimes I do. We wrap individual portions, or just freeze the lot and wrap them up come lunchbox time. My daughters love to check the freezer for which items they will put into their boxes each day! As always, make every ingredient count to help ensure you are feeding your body, and your family’s well. In this recipe, we have healthy fats (seeds), wholegrains (oats), and fiber (chia). 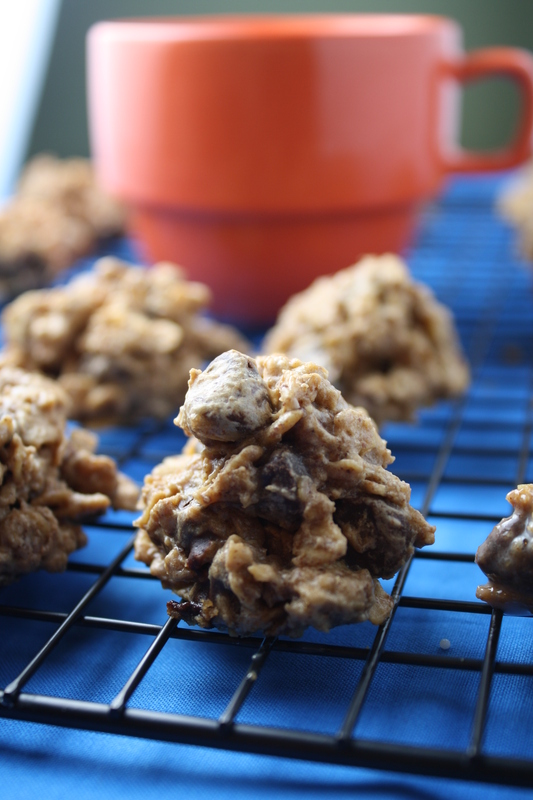 By using a low-glycemic sugar, I feel even better about serving these ‘cookies’ to my kids. On this particular day, I needed a healthy after-school snack, so I was looking though my ‘to try’ recipes for inspiration. Last year sometime I received a free e-book, and this was one the recipes that caught my eye, a recipe from Heather Eats Almond Butter (sadly, she just stopped blogging). I made several changes to make it work for our family, but the end result was a cookie worth every little bite!! The add-in options for this recipe are endless, as are the adaptations. Can’t do nuts? Sunflower seed butter it is! No chocolate? Then how about some dried fruit?! Or maybe both is more up your alley. Have fun playing around with it! What is your favorite add-in? Are you a fruit or chocolate kind of person? In a medium bowl, mix the dry ingredients together. In a liquid measuring cup, thoroughly blend the wet ingredients. Let rest in the fridge for about 10 minutes while the oven heats. Drop small rounded tablespoonfuls on a greased cookie sheet. Bake for 10-12 minutes until just golden. These look amazing! Thanks so much for linking up to Waste not Want Not Wednesday! These look wonderful! I’m going to give them a try…my kids will love them! Thanks for sharing them with us at #FoodieFriDIY…sending some foodie love your way! 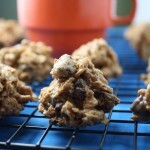 This is by far the best oatmeal raisin cookie recipe I have ever tried. Absolutely delicious. Made them for a meeting a work & got asked to make them for several people before the meeting was over. This is definitely a keeper!! Thanks Bev for another great recipe!! glad you enjoyed them Pavel! Can I use quick rolled oats? Yes Jaime, shouldn’t be a Problem, although I have not tested it. Let us know how they work! i have never thought about putting chai in cookies! Yum!! Thanks for doing this giveaway! Hi angel! I have used both bobs gf oats and trader joes! I love oatmeal cookies! I’m so glad Bob’s Red Mill has GF oats! Love the flexibility of this recipe, I’m making it right now (with my Bob’s GF oats)! Thank you! hope they were good Tina! thanks for stopping by! Thanks! I love new recipes for cookies! These look so yummy!!! 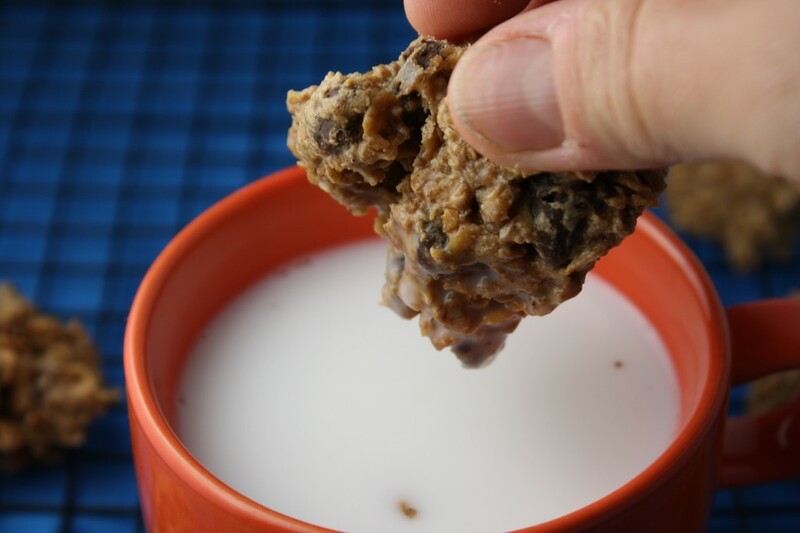 I love chocolate, but am finding that I really love raisins in oatmeal cookies. Do you use specifically gluten free oats? I do Ashley, can’t risk cross-contamination with my son…he’s allergic to wheat. I’m definitely going to be trying this recipe with raisins soon! YUM! Enjoy Raj! I love raisins too! Wonderful, Wonderful Cookies!! Thank you so much for sharing your awesome recipe with Full Plate Thursday. Hope you have a great week and come back soon! This recipe looks so good. Can’t wait to try it. My favorite add-ins to my GF granola and granola bars are chocolate dusted almonds and dried cranberries! Yummy!! Going to make these and add some toasted coconut, yum! I can’t wait to try these cookies, thanks for the recipe. I love having safe and tasty meals in the freezer. I should do it more often. It’s like insurance against making poor choices when I’m too tired or rushed to cook. Your ideas are great! I react to oats. Do you? If so, where do you get your gf rolled oats? The only ones I’ve found were like the instant ones; they weren’t the less processed “old fashioned” ones. natalie, I sent you an email! I love that this doesn’t have eggs…we’re trying to avoid those too. Hi Kristi..98% of my baked goods are vegan (meaning no eggs), in case you need more inspiration! 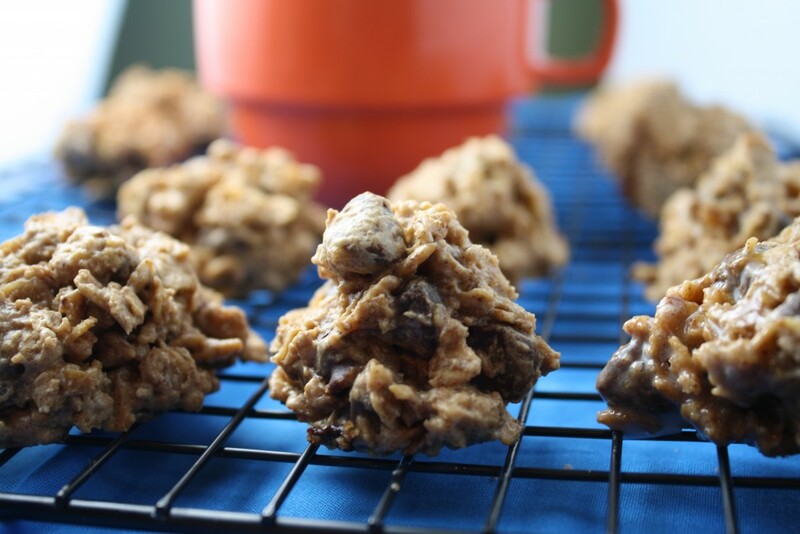 These cookies look yummy, and easy to make! I can’t wait to go to the store today , I’m going to make these cookies tomorrow. Thank FOr being parto of the “10 Days of Gluten Free.” This has been a big help. That recipe looks so delicious, I’m definitely going to have to give it a try! Mmmm, I loveee chocolate chip oatmeal cookies. Thanks for the post!